My visits of National Garden Scheme gardens has found me in private back gardens, experimental trials gardens and landscaped gardens of large country houses. 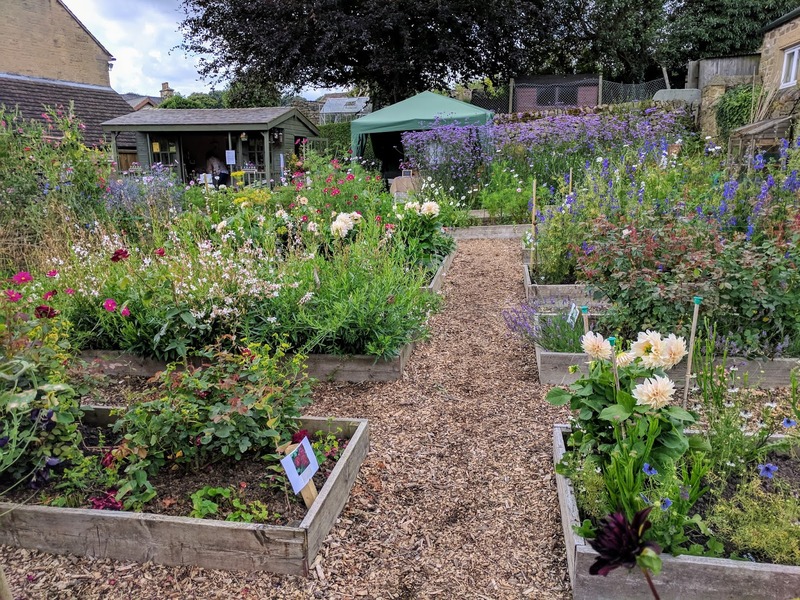 As we needed to visit Eyam for a school project we decided to coincide it with another, rather unique National Garden Scheme opening. Wild in the Country is run by Gill Bagshawe as a garden to provide flowers for her business. It is designed to provide maximum yields in order to fill her orders for wedding flowers, bouquets, arrangements and those wanting flowers for their own floral designs. 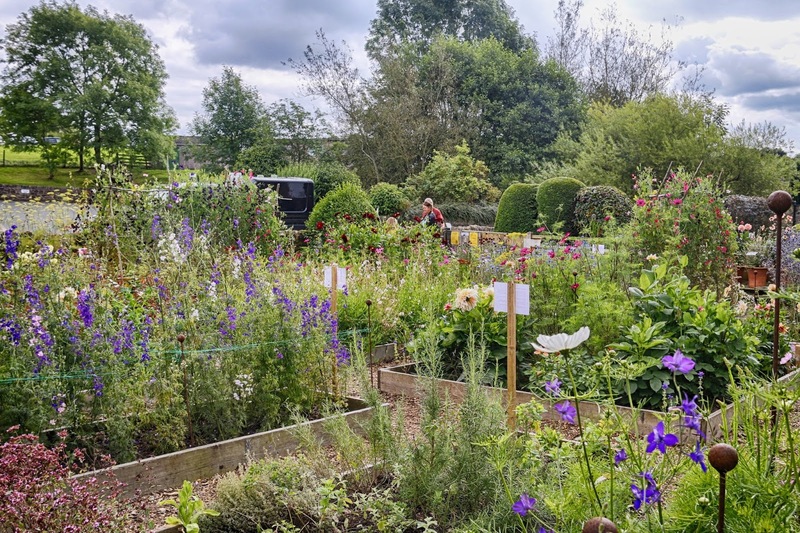 The rectangular plot is divided into raised beds with paths inbetween. 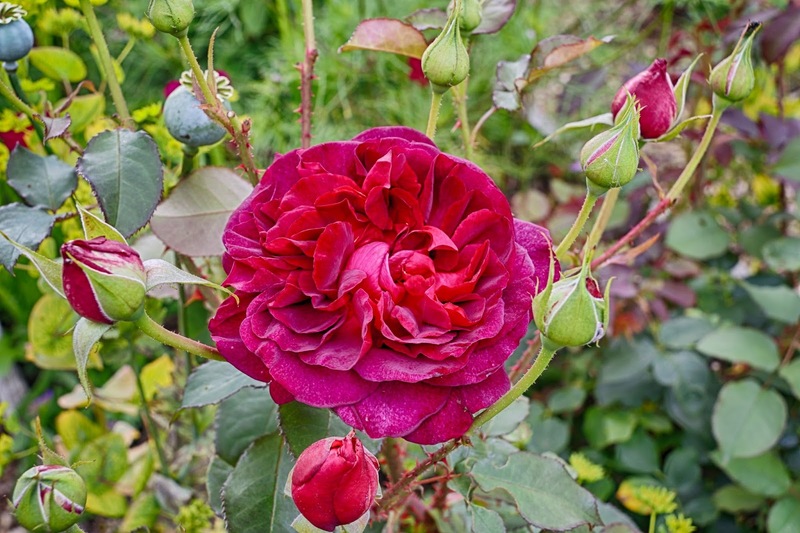 This allows maximum productivity but also ease of maintenance and of course makes cutting the flowers easy. 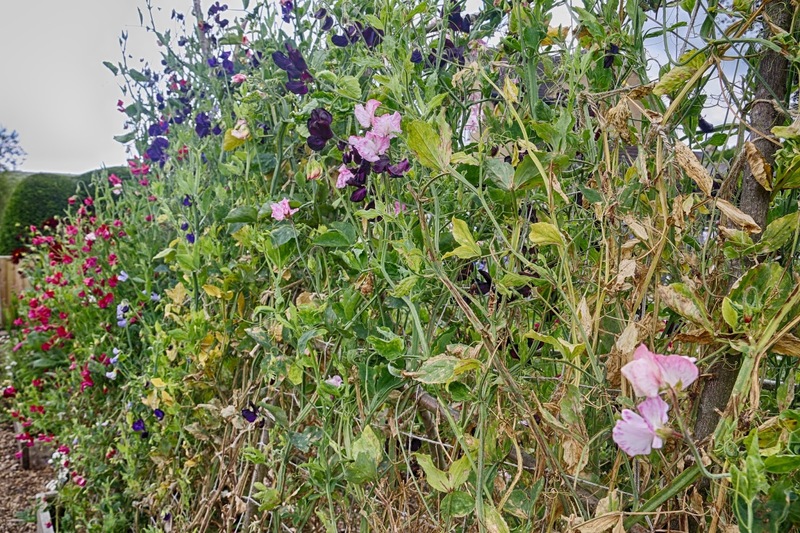 In late summer the garden is filled with some of my favourite blooms. At this time of year dahlias are prominent. Gill has found that she has to grow what is in demand and in fashion. 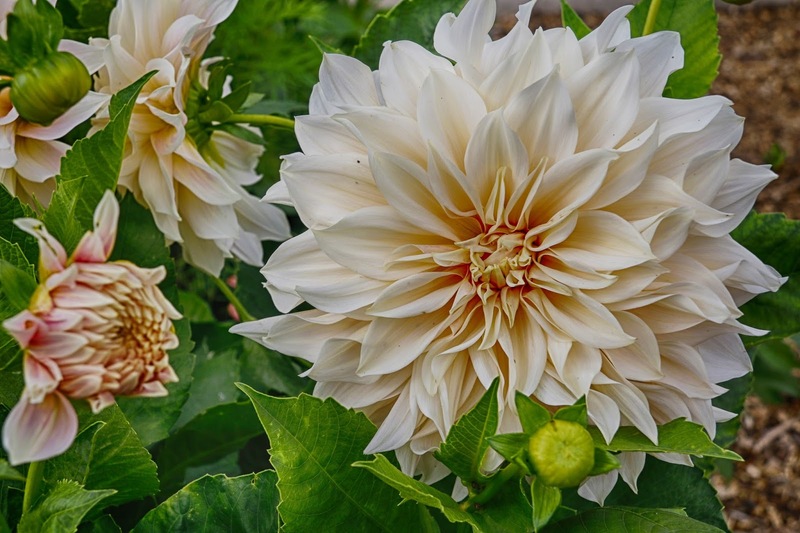 With this in mind the large Café au lait dahlia has taken its place in the garden. 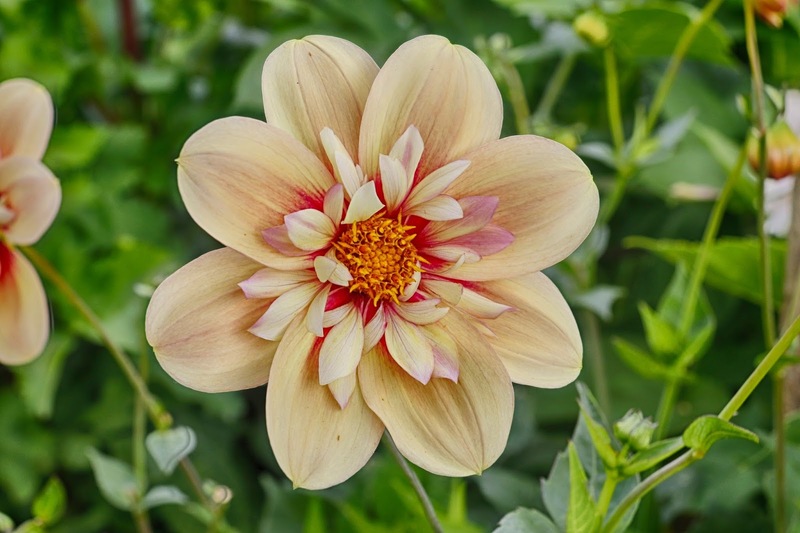 For vase and table arrangements the Rhubarb and custard dahlia provides some subtle colour. 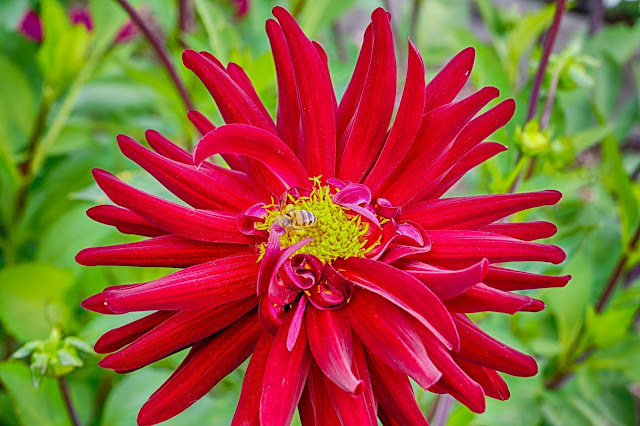 If you want to be dramatic though then the Chat noir dahlia provides everything you need. Big, bold and a bonus of having a long vase life. 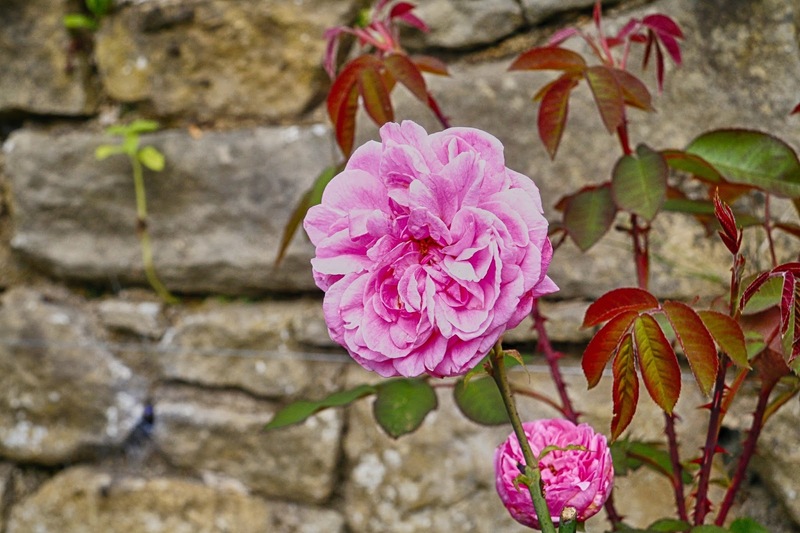 On the south facing wall the Gertrude Jekyll rose enjoys the warmth and sunshine of its positioning. If you're growing for making up floral arrangements then its important to get the balance right between big blooms and foliage. 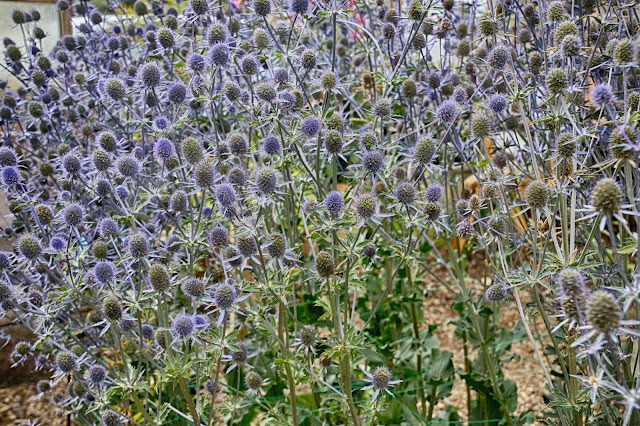 For something a bit different to the usual green leaves there's the striking blue of the sea holly. The garden isn't just for the enjoyment of humans. 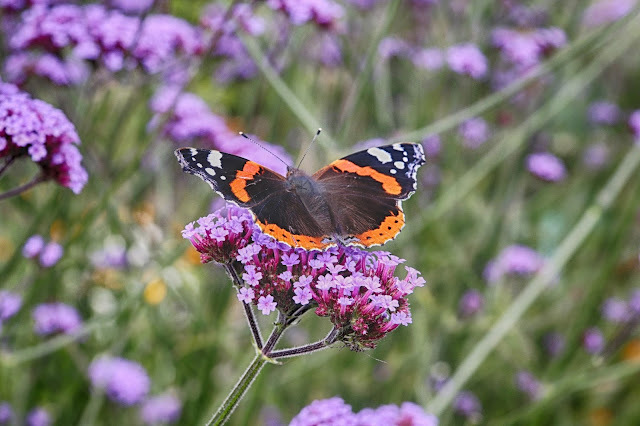 It proves a useful source of nectar for bees and butterflies alike. 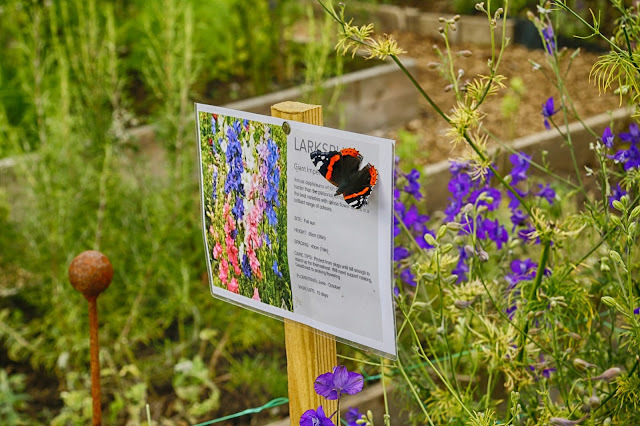 As we took in all the information that Gill had provided around the garden one butterfly was also checking to see if the larkspur was good for nectar purposes! The sweetpeas are in their last flush of summer. When the last of the visitors have left they will be cut down and the plot prepared for another year of flowers. Wow - what a treasure this garden is!